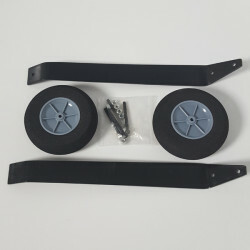 Alu Landing gear set with wheels. 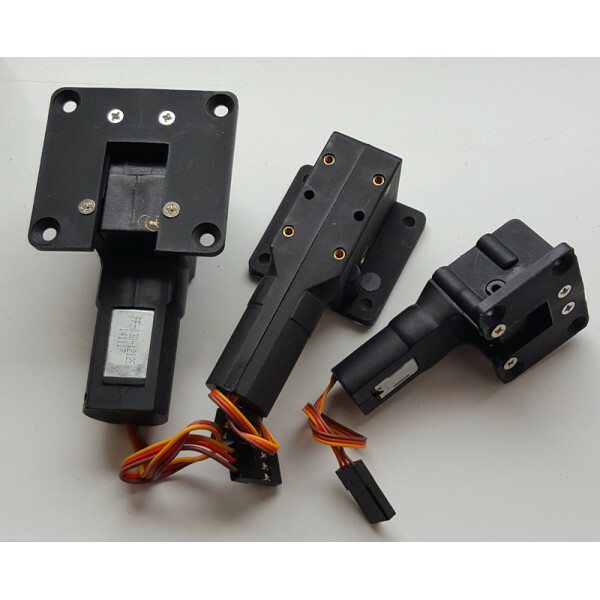 Aluminuim landing gear set with wheels would suit 90-140 class plane, 2 legs 2 wheels and the fixing..
Electric Retracts offer simplicity and ease of operation, plug in to your rx and your done, no more messing about with air tanks, leaky air-hoses and valves etc. 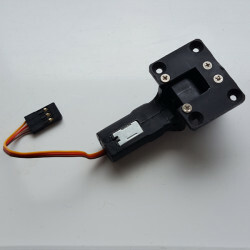 these units add an superb touch to any plane, all you need to connect these units is 2 servo Y leads to use one port on your receiver. The hole for the wheel strut is 5mm in hard plastic so is fairly painless to drill if you need to make the hole bigger for bigger struts. Double shock absorbing design to protect the gears. 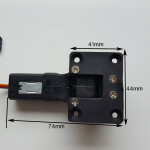 Dimensions - 73.5 * 44 * 40.8 *28 *21mm (see pictures). Strut and landing gear not included, listing is for one retract as per picture.